Aren't these just gorgeous? 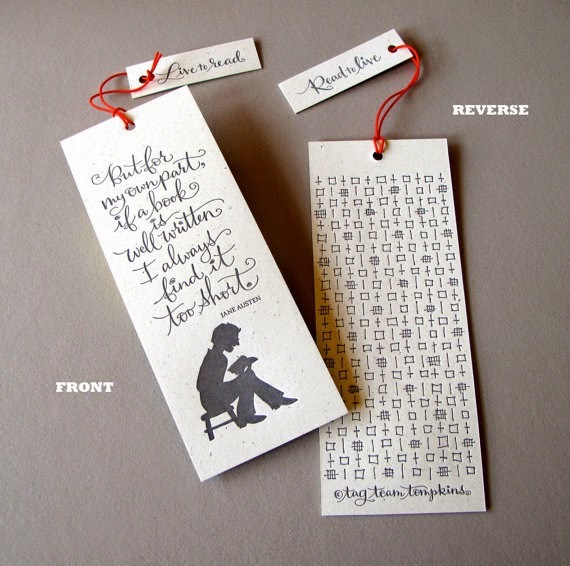 These letterpress bookmarks are made by TagTeamTompkins*. I'm not sure where to start -- the bibiliophile quotes (oh so true! 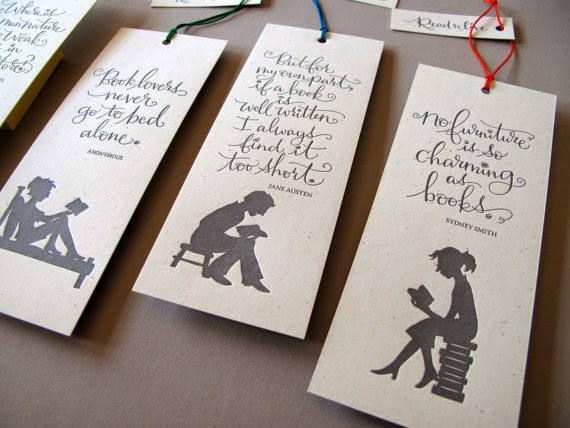 ), the silhouettes of people reading, the fact that these are bookmarks, that they're inexpensive but look expensive. Ok, let me stop. Wait. Even the back of the bookmarks look great! Yes!! I love those bookmarks. Those would make great gifts! They are absolutely beautiful! I love the simplicity and elegance at the same time. Collecting bookmarks is one of the few collections I keep. They're so neat! 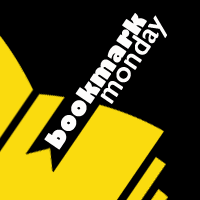 I love bookmarks! Yeah, that's what I do too. Not that I don't still love a good bookmark... but I can't tell you the last time I actually bought one.